First needle exchange program in Ky. now underway in Lou. The syringe exchange program will be run out of a mobile unit on Grey Street, doors open at 3 p.m. Wednesday for the first day and the clinic is fully stocked with pamphlets, HIV tests and clean needles. 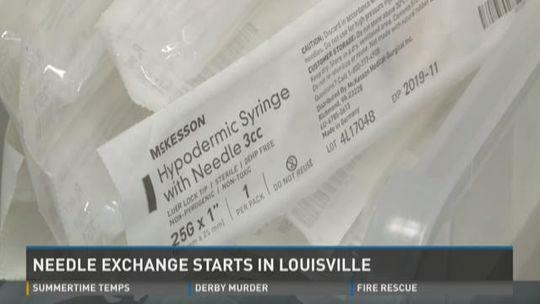 LOUISVILLE (WHAS11) -- The first needle exchange program in Kentucky is now underway in Louisville. The goal is to stop the spread of HIV and hepatitis C and ultimately curb drug use around the area. A recovering IV drug user said this program could have helped him a lot sooner. The syringe exchange program will be run out of a mobile unit on Gray Street, doors open at 3 p.m. Wednesday, for the first day and the clinic is fully stocked with pamphlets, HIV tests and clean needles. "You're asking anybody and everybody where you can get another needle at or you're saving the same ones, you know you don't care what you have to do to get the next one," Bobby Weber, a recovering IV drug user, said. Weber has been clean for about 10 months now but was once headed down a dark road. "I was up for like seven days on meth and heroin, or something like that, I drove off in the middle of nowhere, walked into two houses, in two different counties that I had never been to in my life and asked for my dad, who lived nowhere near there, I was completely out of my mind, and went to jail," Weber said. That's how he ended up at The Healing Place where he's now a peer mentor. 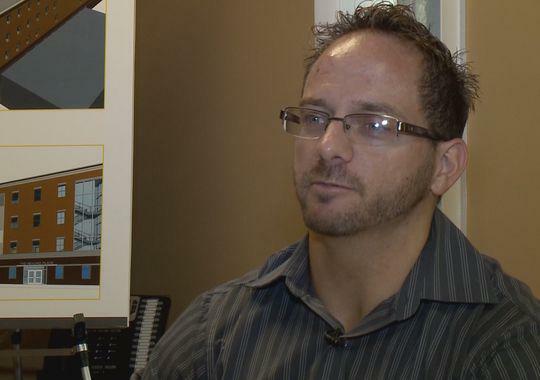 He dedicates his life to helping people--like he says this new syringe exchange program will. "I got cellulitis once, it was an infection in my blood stream or something, and it was probably from IV drug use…It's destroying this town, this community, this nation, addiction itself, and we, if we, can prevent the spread of disease from it then yes, I think it's an excellent idea," Weber said. Weber said he just hopes users aren't afraid to use the program--which is where Volunteers of America come in. The organization is partnering with the Department of Health to provide an outreach team and harm reduction specialists. Those people who go out into the community and help guide users to the program. "So the more that they see those individuals in the community and they realize that they don't come with stigma, they don't' come with judgment and that they only come to provide services, you hopefully build that relationship where people feel comfortable and confident enough to come and talk to you about what you're going through," Shanette Owens, with the Volunteers of America, said. The program will operate six days a week and is open to anyone who needs help--who wants to get clean and stay safe like Weber. "I could carry the message one of two ways, I could die and people would be like hey he died or I could help somebody and that's all I want to do these days, is help people," Weber said.